Home Local News Guyanese Association distributes more than 250 relief packages. Guyanese Association distributes more than 250 relief packages. PHILIPSBURG:— The St. Maarten Guyanese Association has distributed relief supplies to more than 250 residents of the island, including the St. Martin’s Home in St. John’s Estate. 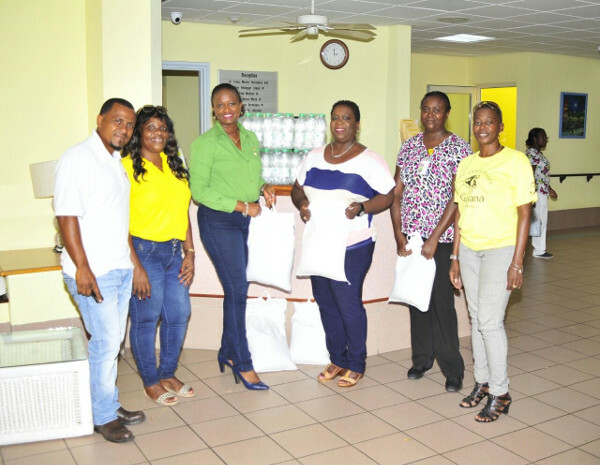 Six bags of rice and six cases of water were handed over to the director of the Home last Wednesday (October 18, 2017), as the association felt that it was its civic responsibility to reach out to as many persons and organizations affected by Hurricane Irma. The relief supplies were delivered to the association some two weeks ago as the Government of Guyana was evacuating its nationals. More than 250 persons registered as having collected food items from the association’s Back Street location. Apart from rice and water, which came in abundance from the rice-producing South American nation, persons also received pumpkin, sweet potatoes, and smoked fish. The association still has some items and is encouraging anyone who is in need to visit their location to uplift same. Next articleSXM Airport Temporary Facilities Operating Smoothly.